Many Martial Artists all over the world who have 20/30/40 years of martial arts experience and have worked hard deserve to be recognized in the martial arts world. We are not a university, we are martial artists whom have been involved in the martial arts for decades. Our certicficates are not degrees, we strictly specialize in martial arts only and these certificates are solely recognized by us only. Martial artists separating themselves from less experience instructors is a privileged earned and solely deserved based on requirements the AMS has set. We are supported and backed by the VKA Association, SKKA World Academy, the Jaguar Kung Fu Dojo, and the Tatakai Jikoboei Do Kempo Dojo to name a few. 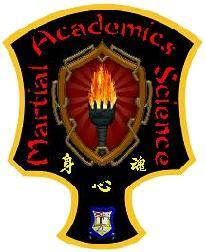 The Academics of Martial Science was founded to recognize and award martial artist all over the world over for life-long dedication, accomplishment and study in the martial arts and offers various Certificates in the fields of Martial Arts and Sciences, predicated on "Life Experience". The Academics of Martial Science does not issue Medical (MD) or Law degrees nor any type of degree as we are not a university. The term Academics refers to those who have accomplished higher learning in the martial arts within their respected dojo's or further teachings from their respected Masters. Martial artists whom have achieved a level of 5th dan black belt or higher have excelled into a realm of higher learning and achievement which is what we believe in. The AMS has stringent requirements in order to receive this certification from our Founders and no certification will be issued until all credentials are approved. This makes the certificate you earned a genuine honor and not a meaningless piece of paper on your wall. Martial Artists who’ve spent a lifetime of Martial Arts study. Martial Arts organization promoting the martial arts i.e. karate, kenpo, kung fu, jujitsu, tae kwon do, wrestling, boxing and much more.